The Ministry of Environment (MoEnv) and the Ministry of Water and Irrigation/ Water Authority (MoWI/WA) signed three agreements in March 2012, Jul-2012 and September 2013 entitled “Desalinization and Treatment of Water Wells in Jordan Badia” to rehabilitate the wells of north and eastern Badia that were affected by the Gulf War in 1990/1991. The work plan included upgrading the water quality of 11 wells in the Badia. The management and technical aspects of this project are the responsibility of MoWI/WA. Companies from private sector were contracted to implement needed rehabilitation and construction. The types of treatments that were used included RO units for deslaination and units to remove nitrate, Arsenic and other pollutants, in addition to chlorination untis. The BRP also supported the activities of rehabilitation of pipes network inside the stations, storage facility, pumping units and other infrastructure needed for improving water quality for the community of targeted communities. Examples on these treatments are shown in the following photos, that were collected by the M&E team during 2014/2015. More details can be found in the Monitoring and Evaluation Reports provided on this website. Installed sand filters, Arsenic and Ammonia removal units for Jaber albalad rehabilitated well, December 2014. 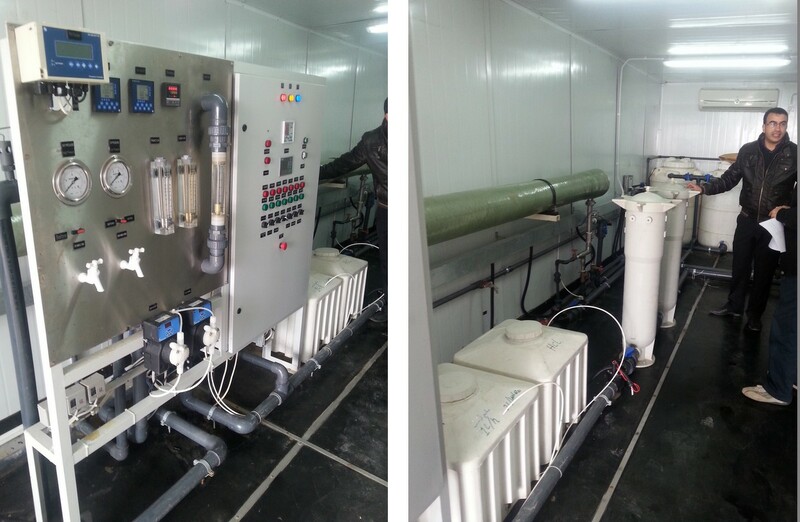 Automatic control unit and water treatments in Al-Omari well. The list of wells and locations inside the Badia where BRP contributed to improving improving water quality and infrastructure. 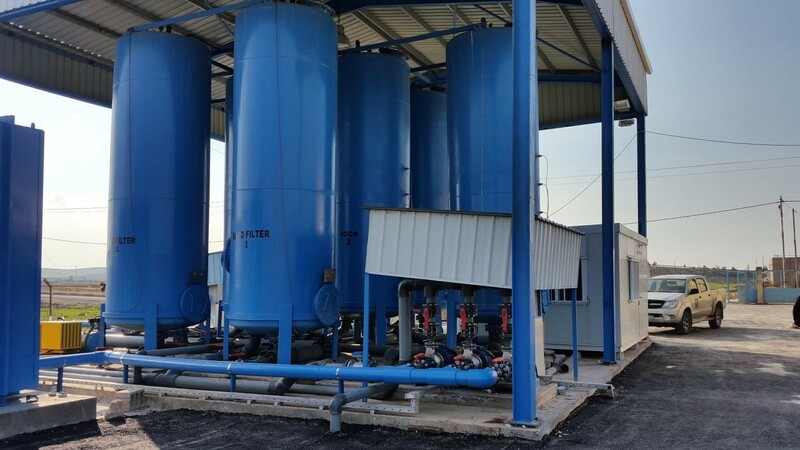 Installation of pump matrix, sand filter, backwash pump Matrix, RO units, desalination control unit, tanks, infrastructure needed for the units. 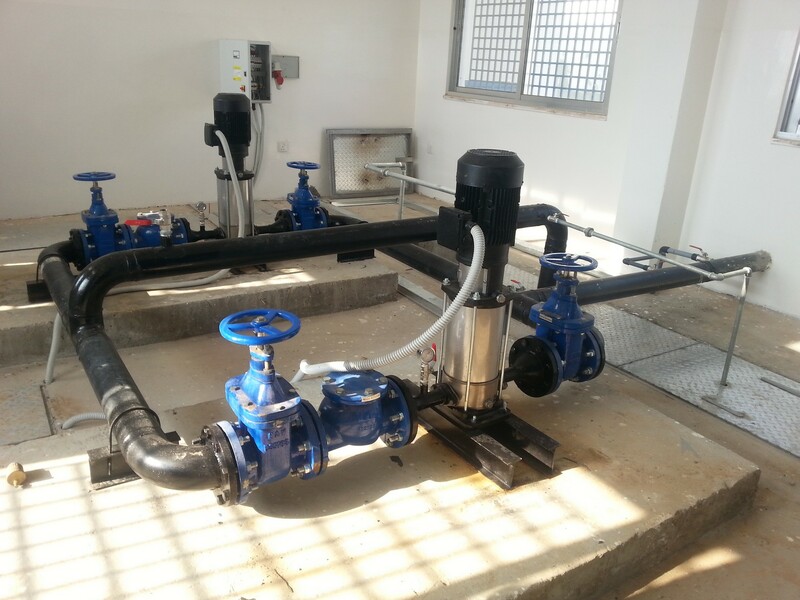 Installation of desalination unit, tanks, pumps and pumping building, infrastructure to serve the unit.